The Red Cross Occupational First Aid Course is designed for businesses and individuals who wish to satisfy the Health and Safety Authority (HSA) requirement for Occupational First-Aiders in the workplace. Our course fully encompasses the syllabus for Occupational First Aid training as defined by the HSA, and may also be extended to include other material as appropriate to the nature of the customer’s business. This course is normally run over three consecutive working days, between 9am and 5pm. Alternative arrangements may be made depending on staff availability, leave, shift obligations etc. Please note however, that the same amount of time will be required to conduct the course even if alternative arrangements are made. The course can be held in our training facility in Limerick City, or on the customer’s premises if a suitable training venue exists. Upon successful completion of the course students will receive the FETAC Certificate in Occupational First Aid, thereby satisfying the requirements as set out in the HSA’s ‘Guidelines on First Aid at Places of Work’. A minimum of 5 students are required in order to hold a course, however, each month we run public Occupational First Aid courses which offer companies or individuals the opportunity to book one or more places. 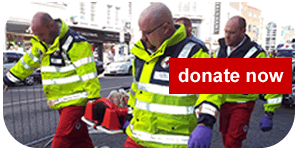 To book this course for weekdays 9am-5pm, please see http://www.redcross.ie/first-aid-training/. To book this course for evenings or weekends, please contact us here in Limerick. Sign up to hear what we are doing in your community! Copyright © 2019 Irish Red Cross Limerick Area.